A new moon is the moment when the Sun and Moon are in conjunction, meaning that the Sun and Earth are on the opposite sides of the Moon. 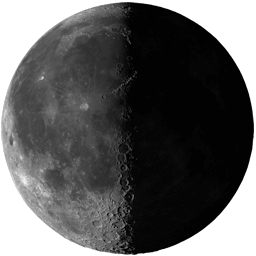 A New Moon cannot normally be seen from the Earth since only the dark side of the Moon faces the Earth at New Moon. Sometimes, if the New Moon is close to the Lunar nodes of its path, it causes a Solar Eclipse. New Moon or Dark Moon is a time of new beginnings and new undertakings. Location: Moon is 0 - 45 degrees ahead of the Sun. What is a new moon? 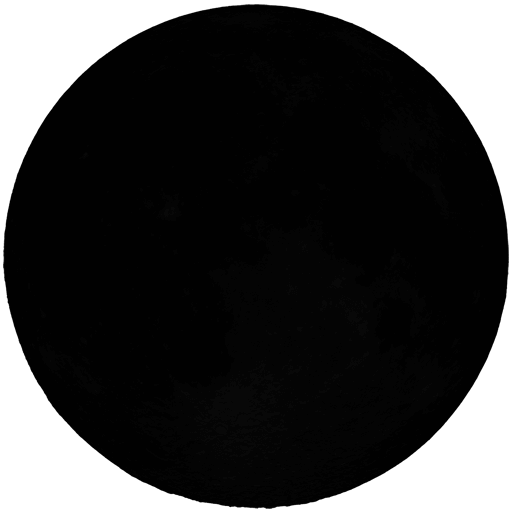 The astronomical new moon, sometimes known as the dark moon to avoid confusion, occurs by definition at the moment of conjunction in ecliptic longitude with the Sun, when the Moon is invisible from the Earth. This means that the Sun and Earth are on the opposite sides of the Moon, and only the dark side of the moon faces the Earth. This moment is unique and does not depend on location, and in certain circumstances it coincides with a solar eclipse. Each new lunar cycle is measured beginning at each new moon. A soothing time of rest and planning for new beginnings; new growth; love, the beginning of or renewing of; bringing things in; regeneration; give thanks. This is a time of new beginnings and new undertakings. It can be a starting point for kicking that bad habit, or simply beginning a project. Put ideas in motion, become engaged, make long term relationship plans. The waxing Moon is a time of spontaneous and instinctual action. This is a time when efforts will grow visible. Transitions may seem to be accepted more calmly than other phases. A time for hair cuts to promote growth, medical treatments or getting your moneys worth from that facial! !